There are some people in the world that have a talent that was truly heaven-sent. For some, it is the ability to play music, while others seem to have a very natural ability when it comes to athletics. However, there are those who can pick up a paintbrush, or a lump of clay, and create the most beautiful, and breathtaking, works of art that astonish the world. When it comes to works of amazing art, Ken Marschall is one of those people. Ken Marschall is probably the most famous artists in the world, and the subject of his paintings is one that the world continues to talk about to this day. Just what is the subject this artist has painted more often than anyone else? 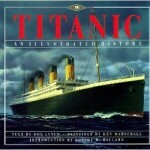 The legendary ship, the RMS Titanic. While much is unknown about Ken Marschall’s early years, and where he grew up, the one thing about this famous artist that is known is when he started his artistic career. Born October 28, 1950, Ken Marschall broke into the art scene in 1967, and to everyone’s surprise, he was just 16 years old. 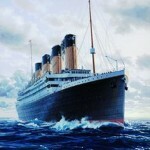 Marschall’s painting of the Titanic was so striking, he was commissioned to paint the liner at the age of 18. What is even more shocking about Marschall’s Titanic paintings is that he has had no formal training in the world of art, it is just something he was born with. Who knew that such a talent would take Ken Marschall not only all over the world, but 12 thousand feet underwater? Back in 1985, Dr. Robert Ballard discovered the RMS Titanic lying on the bottom of the ocean. 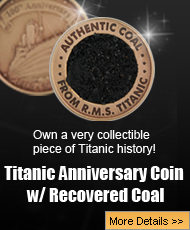 At the time of its discovery, the Titanic was so far down that accessing her sunken remains was not possible. How could Bob Ballard show the world the Titanic if she was not accessible yet by submarine? 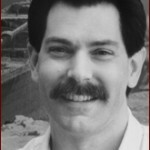 The answer is… Ken Marschall. The famous magazine, National Geographic, wanted to show the Titanic in all its glory, but up close pictures of the wreck were not possible. 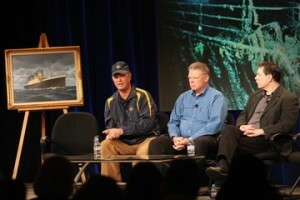 Dr. Ballard called up Ken Marschall, and from his descriptions of what he had seen on the bottom, Marschall was able to create the wreck of the Titanic before she was actually seen by human eyes. The frightening part was just how close to the actual wreck site Marschall was, and the world was stunned at his image that later appeared on the cover of National Geographic. Dr. Ballard himself was also impressed enough with Marschall’s work that not only has he commissioned paintings of other wrecked ships for Ballard’s books, but even went on expeditions with the famous explorer to view many of these sunken liners. In part two of this article, which will be posted here next week, Ken Marschall’s talent will move from the canvas to the silver screen. 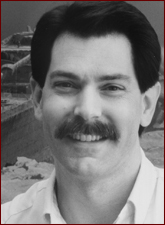 Not only has Marschall lent his talents to Hollywood in such hit movies as The Terminator, Stand by Me, The Princess Bride, and Pet Sematary. 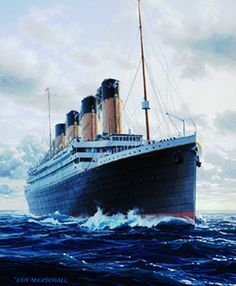 However, while all these movies were box office hits, it is the relationship that will not only change movie history, but also show the world images of Titanic never seen before as both he and James Cameron explore the ship at 12 thousand feet below the surface of the ocean. Ken Marschall has a lot of talent, and he will continue to dazzle the world with his incredible talent for many more years to come!